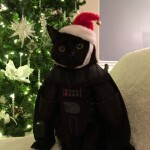 This cat is so relaxed and you will be too when you attend the stress buster event at the Library on Dec. 10! 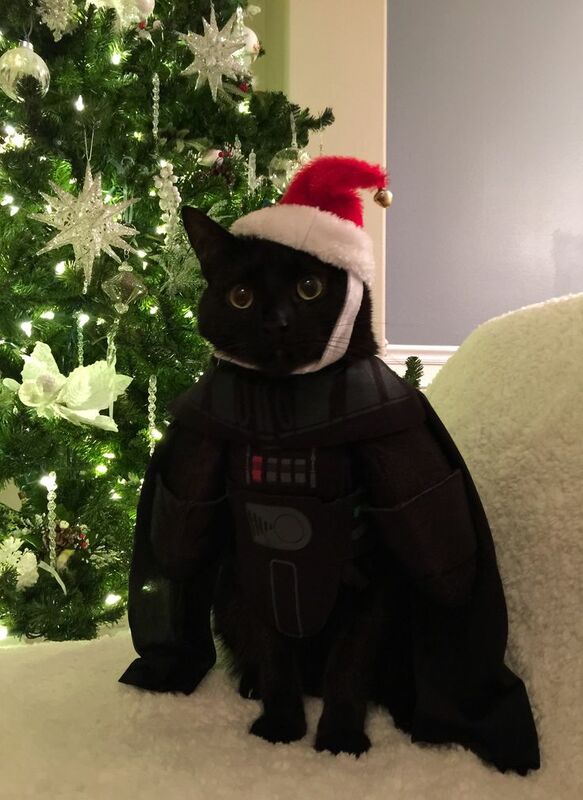 Don’t miss the games, free food, hot drinks, Star Wars selfies, cootie catchers, and a special appearance by Will D. Cat! 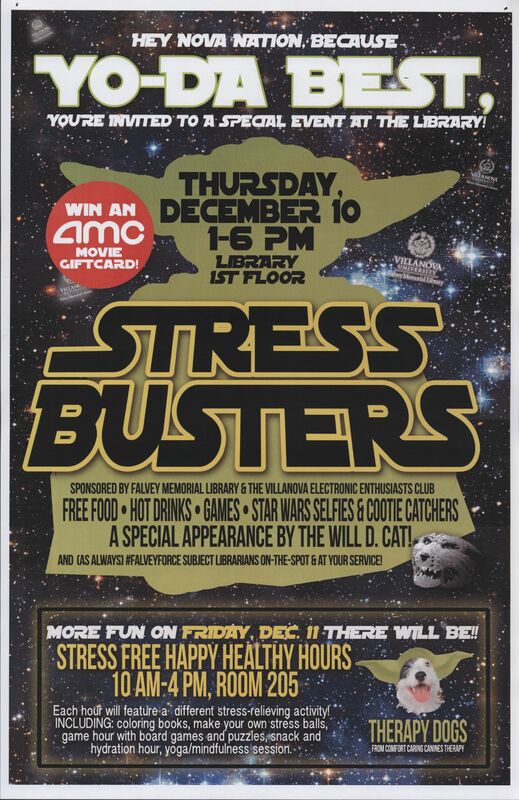 The next day, on Dec. 11, you can visit with therapy dogs, attend a yoga session, make your own stress balls, and more! See the poster below for all the details! To provide students with additional late night study facilities, the main Library will have extended hours beginning Monday, Dec. 7th. We’ll be open most nights until 3:00 a.m.
As always, you can use your Wildcard to swipe into the 24/7 lounge, Falvey Hall lounge and Reading Room after hours. 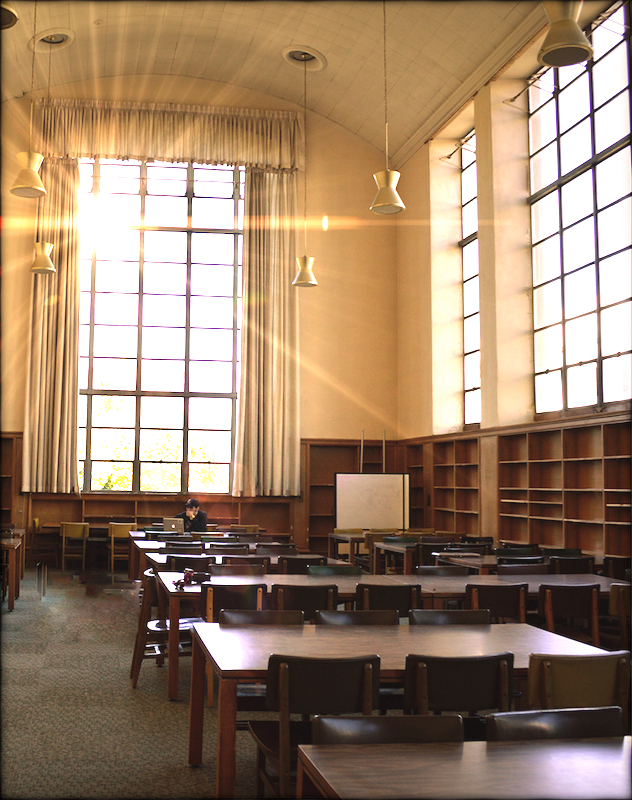 Take advantage of our cozy and inspirational spaces for quiet study. 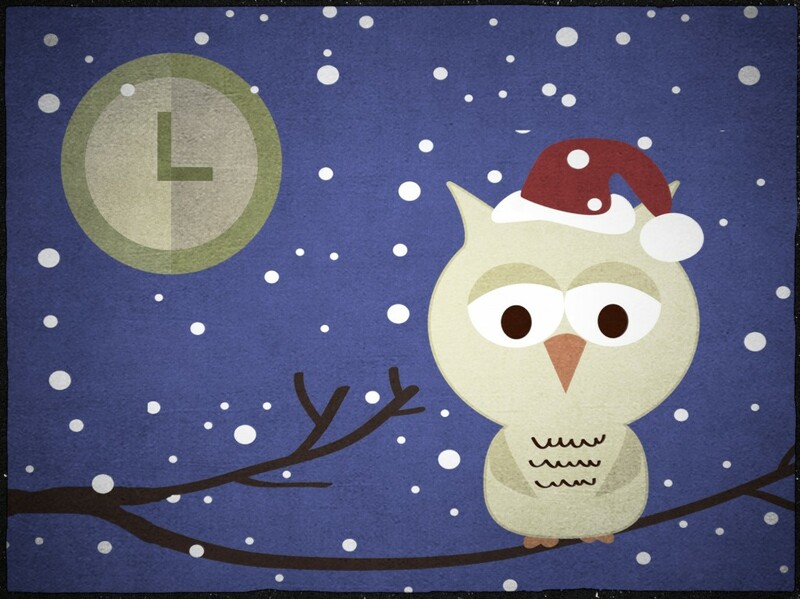 Check the Hours link on the library homepage for a full listing of extended hours. From everyone at Falvey, good luck on your papers and final exams! After an unexpected and prolonged malfunction of the special access gate at the library entrance, it has been repaired. 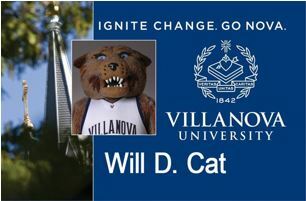 As you may know, Villanova faculty, staff and students swipe or tap their Wildcard in order to enter through the turnstiles, whereas the special access gate is activated by Villanova students who have proxy access cards or by library staff who grant visitors or tours access to the facility. Thank you for your patience as we addressed this equipment issue! 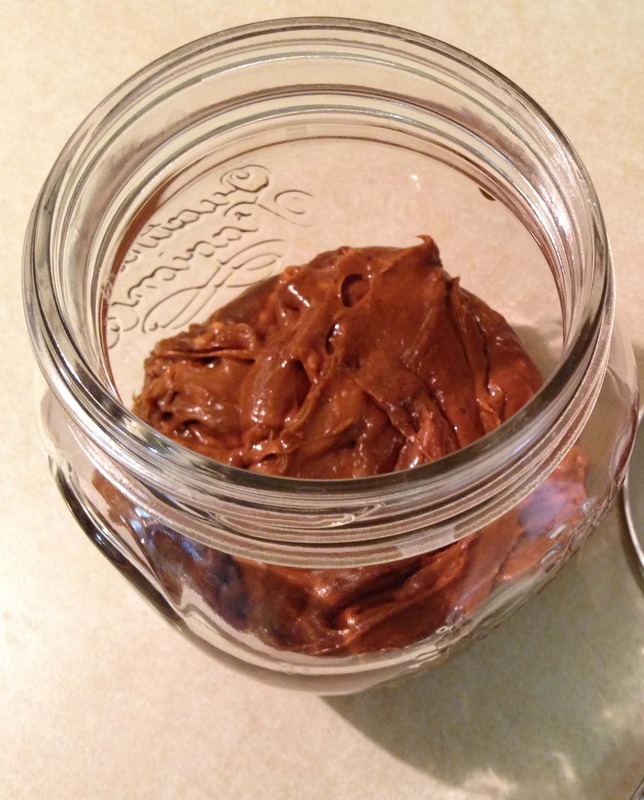 The inspiration to make dulce de leche for Hispanic Heritage Month came from reading articles and books about Jorge Bergoglio, who enjoyed cooking for his family and for his fellow Jesuits before becoming Pope Francis. 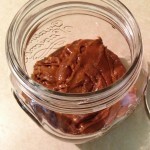 Dulce de leche means “milk jam” and essentially calls for only two ingredients, milk and sugar, but other variations exist. The dessert is said to originate in Argentina, the Pope’s home country, and is also popular in other Latin American countries and in Europe. Legend has it that, in the early 19th century, a cook who worked for General Juan Manuel de Rosas, an Argentine dictator, left a pan of milk and sugar on the stove unattended during a particularly chaotic day and when she returned found that it had converted to a creamy, thick brown syrup. Apparently, she convinced one of the soldiers to taste it. 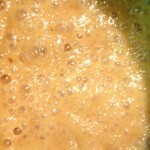 If prepared with goat’s milk, as with the version described below, it is known as cajeta. It is also referred to as manjar in Mexico when prepared with vanilla or as cortada when made with soured milk in Cuba. It can also be prepared using a can of sweetened condensed milk, a process that is also described below. No matter which method you choose, it can take up to three hours and requires your full attention, so keep a close eye on the stove. Your patience will be rewarded. Using a medium to large, preferably tall, non-stick pot, combine milk, sugar, and sea salt. Start warming the milk mixture slowly on the stove. Cut the 1/2 vanilla bean lengthwise and scrape out the seeds and put the seeds and the scraped bean into the milk mixture. Turn the heat up and bring the mixture to a healthy simmer, but don’t let it boil. Mix the baking soda and water together in a separate dish. Remove the pot from the stove and add the baking soda & water mixture. It might foam a little if you’re using goat’s milk so hold it over the sink, just in case. Place the pot back on the stove and simmer for an hour, stirring every 5-10 minutes. Once it starts turning a light brown, stay at the stove and stir every 5 minutes or less to keep the mixture from sticking. Do this for another hour. If you’ve got studying to do, this is the perfect time to multi-task. Prop your book up and read while you stir. 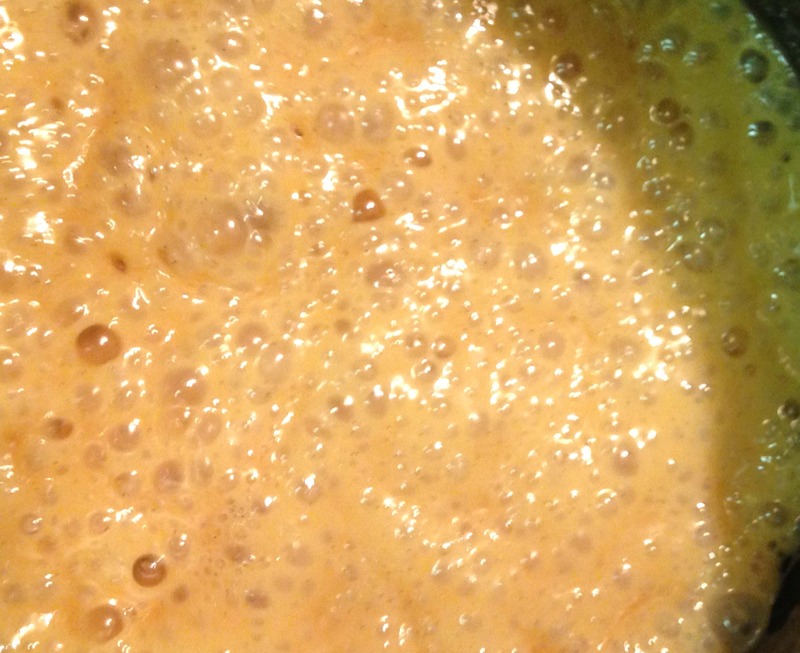 The dulce de leche will start to thicken and darken. Keep stirring. You can remove it from the stove before the end of the second hour if it has reached the right caramel color and gooey consistency. Use immediately as a topping on ice cream, crepes, apple pie, toast, or just eat it with a spoon while you study. If you have any left, store in a closed glass jar and let cool completely before placing in the refrigerator for storage. It will keep for a few weeks. My first batch hardened as soon as I poured it into the jar. I had to microwave it for a few seconds to soften it up before serving. 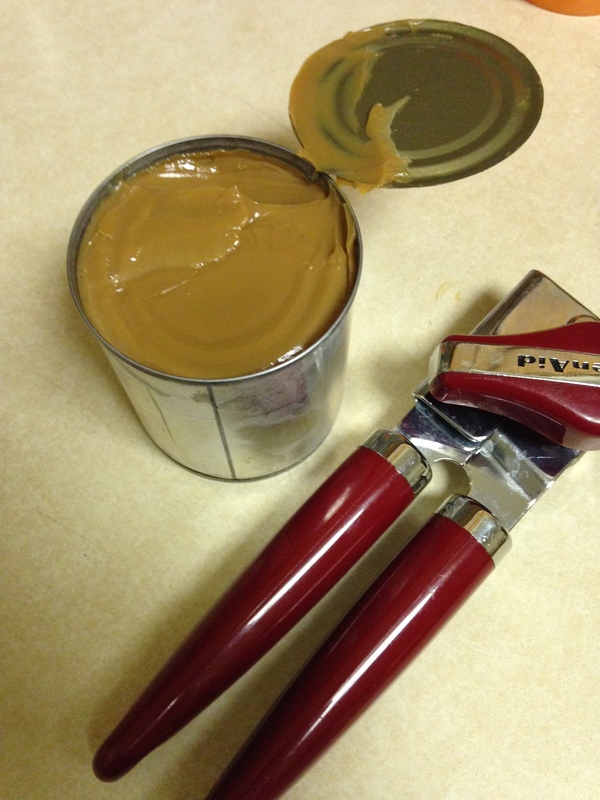 Here’s a quick and easy way to make dulce de leche with only one ingredient: a can of sweetened condensed milk. Fill a large pot, preferably a tall pot, with water. 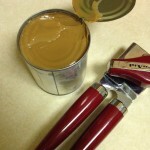 Remove the label from the can of condensed milk and place the can on its side at the bottom of the pot. Make sure the water level is at least one inch above the can. Bring to a rolling simmer. Cook for 2-3 hours. IMPORTANT: Keep checking the pot every 15 minutes to ensure the water level is always at least one inch above the can. Let the can cool completely before opening, otherwise it could explode, resulting in a big mess and possible injury. 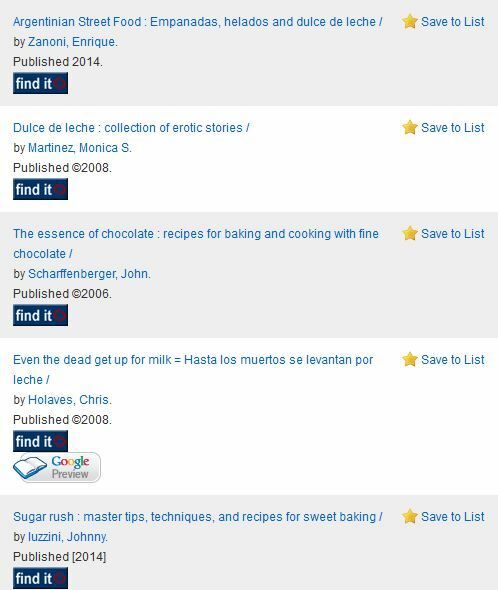 Additional fiction and non-fiction resources (sampling below) on dulce de leche are available through E-ZBorrow or Interlibrary Loan. You can also contact the Romance Languages & Literatures librarian, Susan Ottignon for scholarly Hispanic or Latino cultural resources. 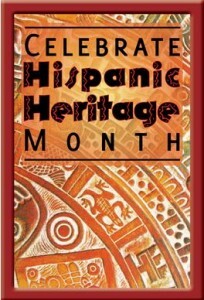 There is also a Villanova University Hispanic Initiatives site that promotes resources and events on campus. 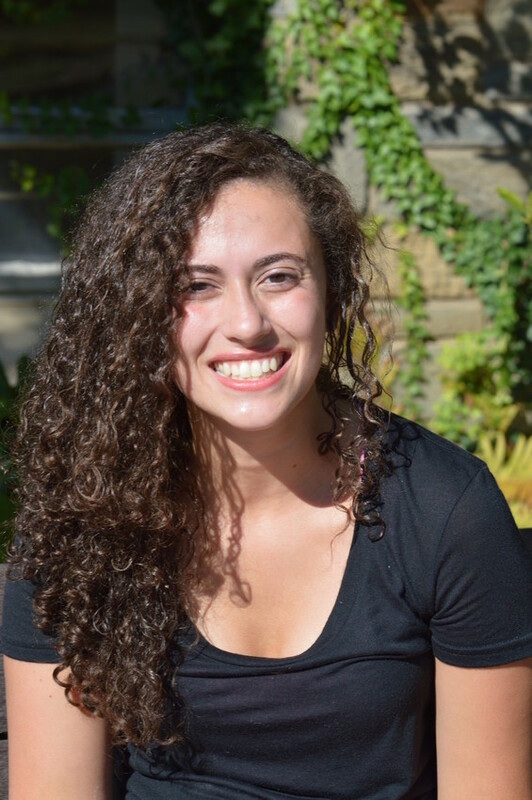 Hispanic Heritage Month food blog by Luisa Cywinski, editorial coordinator on the Communication & Service Promotion team and team leader of Access Services. Just one page on Falvey’s site helps you learn whether a library resource is scholarly or popular, primary or secondary. That one page also shows you where to find help citing sources, help with your research, or help with your writing. 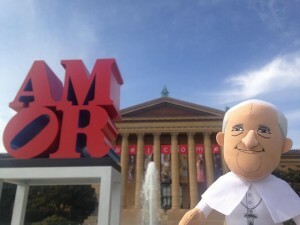 For the duration of Pope Francis’ visit to the area, the regular library hours will remain unchanged. The library will offer basic circulation services. Some processing delays may be experienced by library patrons. Friday, Sept. 25: 8 a.m. – 5 p.m.
Saturday, Sept. 25: 9 a.m. – 5 p.m.
Sunday, Sept. 26: 12 p.m. – 12 a.m.
A librarian will be on-call Friday, Sept. 25, from 9 a.m. to 5 p.m. and can be reached via the Ask a Librarian chat on our homepage. 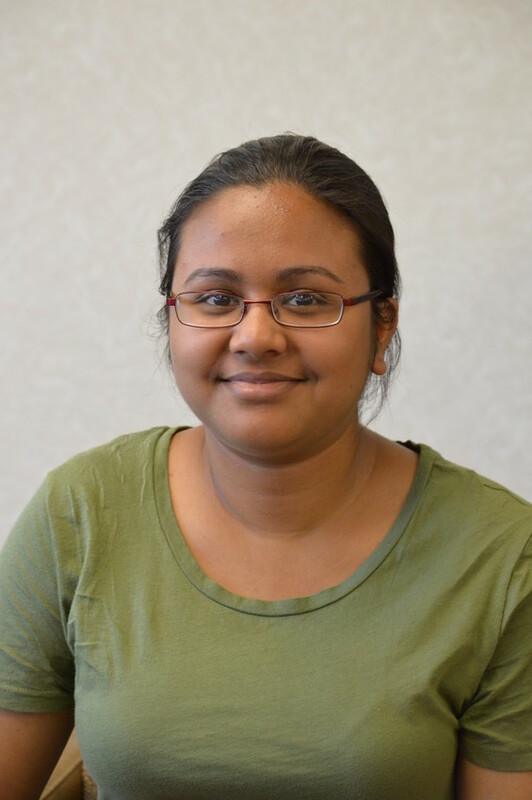 We will also have a librarian on call Sunday, Sept. 26, from 1 to 8 p.m., also via the Ask a Librarian chat. Friday, Sept. 25: 11 a.m. – 4 p.m.
Saturday, Sept. 26: 11 a.m. – 4 p.m.
Sunday, Sept. 27: 1 p.m. – 8 p.m. The Curious ‘Cat: What would you change? What would you keep? 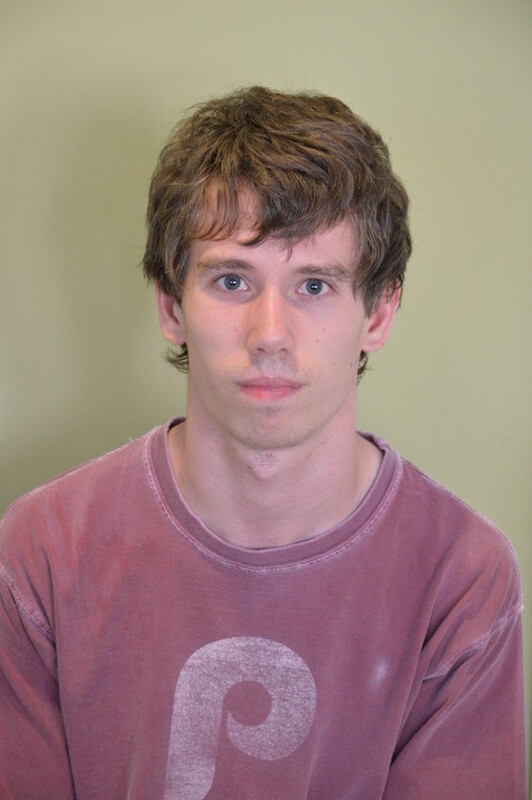 William Turbett—“Better access to the ability to print at late times of the day: I was [in the library’s 24/7 study lounge] a week ago, it was later in the night … the rest of the Library was closed … and I realized my professor had told me I had to scan something and email it to him. I had a tough time figuring out how to do that because I had no access to the scanner and the printer at that time of night. … Printing for me is not as much of an issue; I do have a personal printer. But it doesn’t have a scanning option. The [library’s] scanner is very helpful: I use it a lot for a lot of different classes. … That is one thing I’d change: access to that in the 24-hour lounge. Cara Coalo—“More tables for studying. 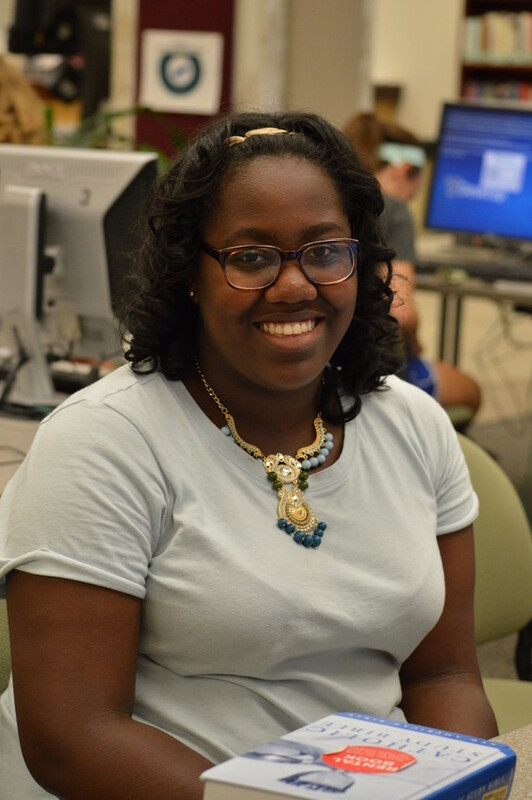 Alexus Reynolds—“The first thing I would change is the amount of [electrical] outlets and accessibility. Sometimes I have trouble finding outlets so that I can charge my devices, like my laptop and my phone. “And then more group-study rooms because there are not that many group-study rooms. Sometimes my friends and I have a hard time finding places in the Library to do group studies. 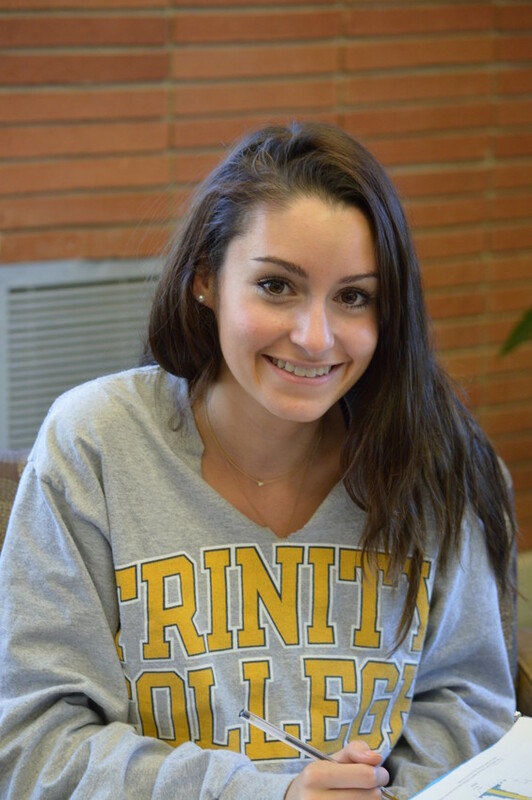 Nazelie Doghramadjian—“I would say the whole thing should be 24 hours. The whole library should be 24/7, but that’s very farfetched. 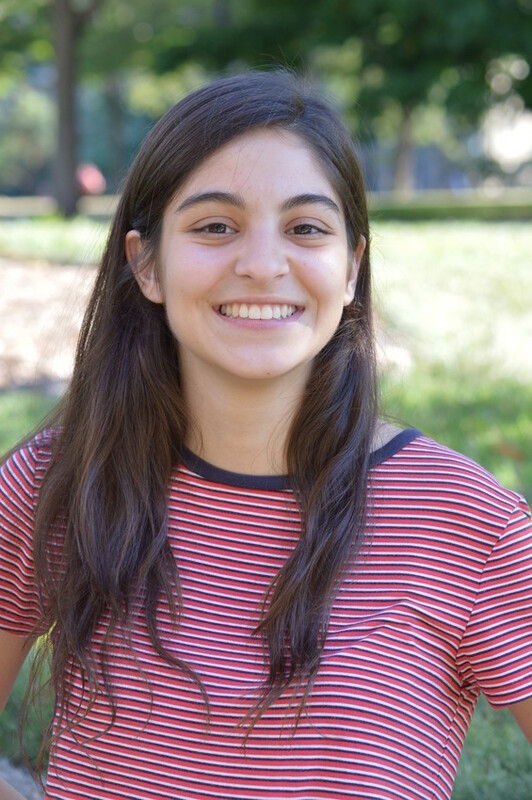 Sabina Williamson—“I would change—on the first floor the soft chairs don’t have any [electrical] outlets in the floor, so whenever my laptop goes dead I have to move. And I’m always so comfortable that I don’t want to move. Heading to the Library? Here are a few things you need to know. 1. Bring your Villanova University Wildcard: to enter the Library; to check out books, DVDs, library laptops and reserve readings; to use a group study room; to print and much more. 2. The Falvey home page is your gateway to rich resources, collections, links to our social media accounts and services. 3. Check the library catalog for print and web holdings: books, magazines, DVDs, audio books, new fiction, popular reading and more. The catalog links you to articles too! 4. Use the public workstations for paper writing, research, email and other applications. Other services: wireless connectivity, printing, photocopying and scanning. 5. Need a late-night place to study? 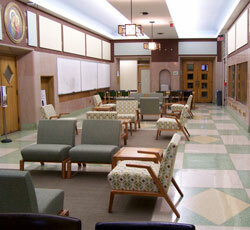 Try Falvey’s 24/7 study lounge. When the Library is closed, enter by swiping your Wildcard at the exterior lounge door. Meet here during the day for coffee and special events. Next door, the Falvey Hall lobby and its adjacent Reading Room, on Falvey Hall’s second floor, provide additional 24/7 study spaces. 6. Library materials have Library of Congress (LC) call numbers, not Dewey Decimal, so items are shelved alphabetically by the first letters of the call number, and then numerically (LA229.P34). There are two floors of circulating books above the main floor and three floors of circulating books in the Falvey West stacks. 7. Some current issues of magazines, newspapers and journals are available for browsing on the main floor. Many are online, so check Journal Finder or the library catalog. Print back issues are in our off-site collection. You can ask us to retrieve them or scan them by linking to Interlibrary Loan on our home page. This will take you to the ILLiad patron login screen where you can request electronic delivery of articles from the Falvey or off-site collection. 8. Can’t find what you need? Use E-ZBorrow and Interlibrary Loan to borrow items not owned by Falvey—at no cost to you. 9. Need a good job? Falvey hires student employees in many departments, such as Scholarly Outreach, Access Services, the Digital Library and Resource Management. Check the Student Jobs Directory on Villanova’s Office of Financial Assistance site. 10. Need help? Ask at the Information desk, call 610-519-4270, or use Live Chat. Need help with research? Ask a research consultation librarian, make an appointment, call 610-519-4273 or email your query. Above all, please ask for assistance. We are here to connect you to the information you need, regardless of format or location. We are committed to your success! Falvey Memorial Library was again proud to host the traditional continental breakfast for Villanova University’s New Faculty Program, which took place Monday, Aug. 17. 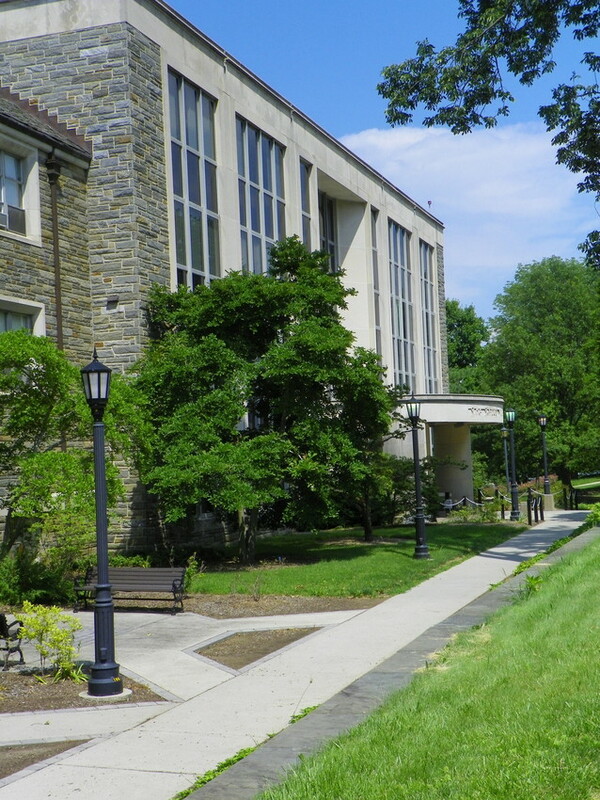 The program is hosted by VITAL, the Villanova Institute for Teaching and Learning, and tailored to support the needs of new faculty members by easing them into their new teaching positions, answering questions and introducing them to campus resources. The library’s Learning Commons meeting rooms provided a bright, spacious environment for the new professors to network with subject librarians and begin their Villanova experience. 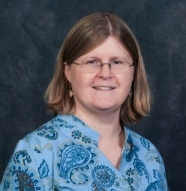 Gabriele Bauer, PhD, and Director of VITAL also introduced the new faculty members to Falvey’s newest entrant, Millicent Gaskell, University librarian and library director, who began here in May. Falvey Memorial Library welcomed all new faculty members to Villanova to a breakfast reception this morning. If you are a faculty member who was unable to attend, we’re reprinting the general handout that was provided here, which gives a brief rundown of key contact information and services (double click graphic for expanded view). Contact us anytime if you have any further questions or suggestions for library staff.